Carbon Capture Machine (UK) Ltd, a University of Aberdeen spin-out company, is the sole European team to reach the finals of the NRG COSIA Carbon XPRIZE, a major international competition that incentivises the development of breakthrough carbon conversion technologies to reduce global CO2 emissions. The 10 finalists in the NRG COSIA Carbon XPRIZE split an equal share of a USD $5 million milestone prize, as part of an overall $20 million prize purse as teams compete to develop technologies that convert CO2 into valuable products. The Carbon Capture Machine team was formed at the University in 2016, and comprises a multi-disciplinary group of academics. By reaching the final 10 of the competition - from an initial field of 47 international competitors - the team receives funding that will help them further develop pioneering technology capable of capturing CO2 from large industrial emission sources, and turning it into valuable carbon-negative industry feedstocks and building materials for use in construction projects. Dr Mohammed Imbabi from the University’s School of Engineering and Emeritus Professor Fred Glasser, Chair in Chemistry conceived and developed the technology over several years. 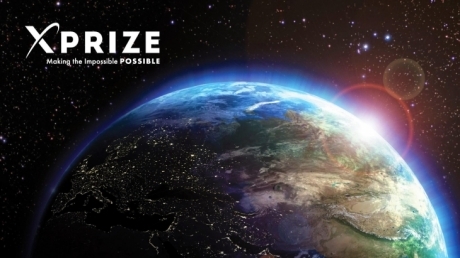 Together with Professor Zoe Morrison, formerly of the University of Aberdeen Business School, and others, they form the team competing in the Carbon XPRIZE finals. Dr Imbabi hailed the team’s achievement as a major milestone in their journey to perfect a technology that can significantly reduce global CO2 emissions and profitably provide sustainable materials for use in construction and other applications worldwide. He said: “As a team we firmly believe that what we are developing here in Aberdeen has the potential to be a game-changer in carbon capture and utilisation, and our progression to the final of the Carbon XPRIZE is testament to this belief. “We are grateful to have received backing from the University in supporting the research that underpins our technology, and in helping create a spin-out company, CCM (UK) Ltd, that is poised to commercialise the technology globally. Dr Imbabi explained that the team’s initial aim in developing the technology was to deploy it for use in large-scale industrial settings, de-carbonising at source from power stations, factories, and other major CO2 sources. “In the future, we envisage that it can also be scaled down and miniaturised for use across a wide range of emission sources, from different transport platforms to people’s homes.